This is arguably the busiest time of a marketer’s year, with Cyber Monday going on today and a few more weeks until Christmas. 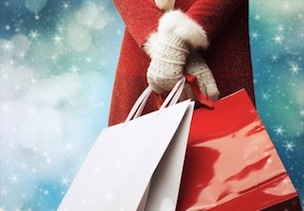 Other companies have discussed with Inside Facebook how important (yet costly) advertising and marketing on Facebook can be during the holiday season. Facebook itself reached out to Inside Facebook, offering five key holiday marketing tips for getting the most in the hyper-competitive News Feed, such as using link ads and utilizing effective targeting techniques. Plan ahead: Organize Facebook campaigns around popular holidays to make ads more timely and engaging. Choose holidays that are most relevant to your business, and schedule ads in advance. Use link ads: Take people from your ads to your site in just one simple click with link ads. Linkads featuring large, clickable images, text and call-to-action buttons seamlessly direct people from their mobile devices or desktops to any page on your site. Tips on how to use link ads can be found here. Improve your creative: Create eye-catching, holiday-themed posts. Include bright images, clear and concise language, and smooth transitions to your site. Target your ads: Facebook provides you with tools to help you target and reach the right customers – new and existing – at the right time. Target your ads based on age, gender, location, interests behaviors and more. Test different content, images and promotions for separate audiences to see what works. Learn about basic targeting options available here. Know what’s working, change what isn’t: Take advantage of Facebook’s Ads Manager to monitor and track the success of your ads performance. Ad Manager allows you to optimize your budget, test your strategy and measure your ROI.